Cindy and her family; Husband Mark and sons Lee and Henry. 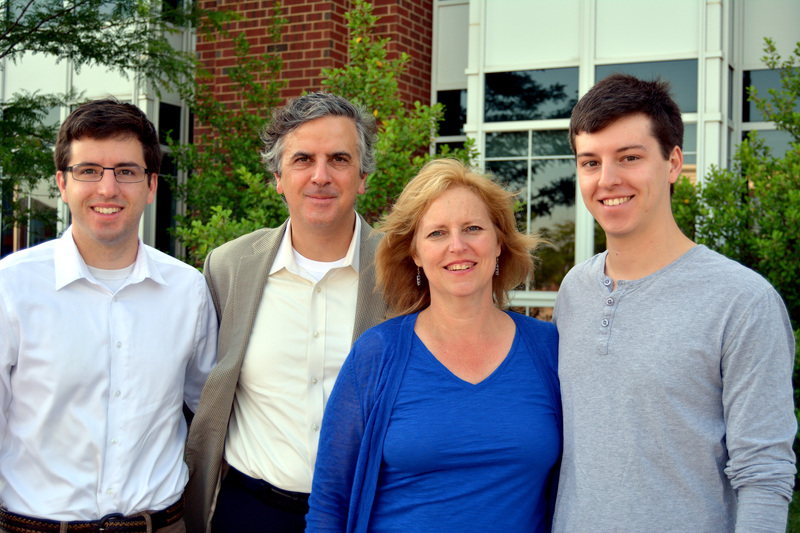 Together with my husband Mark, and sons, Lee and Henry, we are a family of TC Williams alumni. I’ve been very active in Alexandria schools since my elder child entered preschool at Beverley Hills Church Preschool. I was on the board there for 4 years including 2 years as President. After that, I served as PTA President at George Mason, GW and TC Williams. In addition, I was on the PTA Council Board for several years serving first as Treasurer and then President. For 3 years I served on the School Board Budget Advisory Committee and have spent many hours as a classroom volunteer. I have been involved in the Scholarship Fund of Alexandria for many years, first as a supporter and then as a board member. I was in my second year as SFA Chair when I was elected to the Alexandria School Board. I’m currently in my third year on the school board and the second year as Vice-Chair. Why am I running for School Board? I believe it is the best way I can continue to serve my community and to give back to the community that has given me so much. The ACPS education I got was good especially in the opportunities provided and the encouragement received that enabled me to be the first person in my family to attend and graduate from college when I graduated from William & Mary with a degree in Computer Science and Psychology. The education my sons received was excellent, but there is always room for growth and improvement. I want to keep the system moving forward. I believe the institutional knowledge and experience gained as a student, parent, volunteer and non-profit board member will be a benefit to the school system and our students.